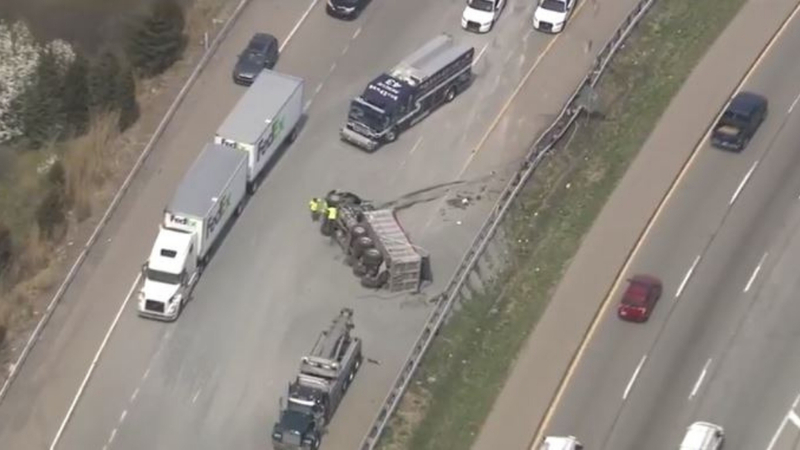 CBS3’s chopper is over 476 in Plymouth Meeting with video of a dump truck that is laying on its side. The accident has closed a portion of I-476 and is causing a huge back-up. No word on any injuries.